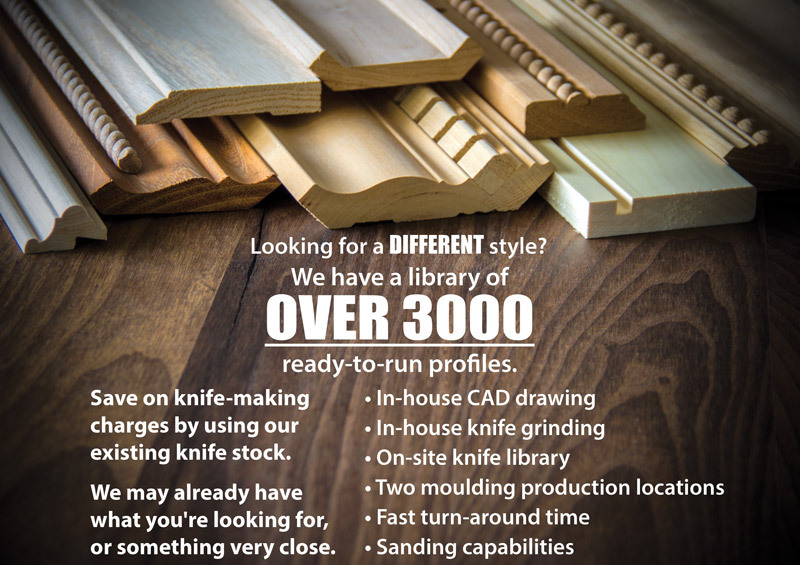 Hardwood Industries | Hardwood Mouldings and Components. Standard isn't good enough! Let us help you find the best grade for your needs. Graded by application, not to a minimum standard. If you discover a tally shortage on H.I. Brand stamped lumber greater than 1%, we will credit you the shortage AND a $100 bill. We offer a complete line of Hardwood Mouldings. Stock, Custom, Braided/Rope, and Dentil Mouldings. Our mouldings are produced using top of the line Weinig Moulder equipment which has a reputation of delivering the finest quality and most accurately cut mouldings available. We maintain a large inventory of the most common profiles. We offer the most complete line of braided accent moulding and rope inserts. We also offer a complete line of dentil accent moulding and inserts.